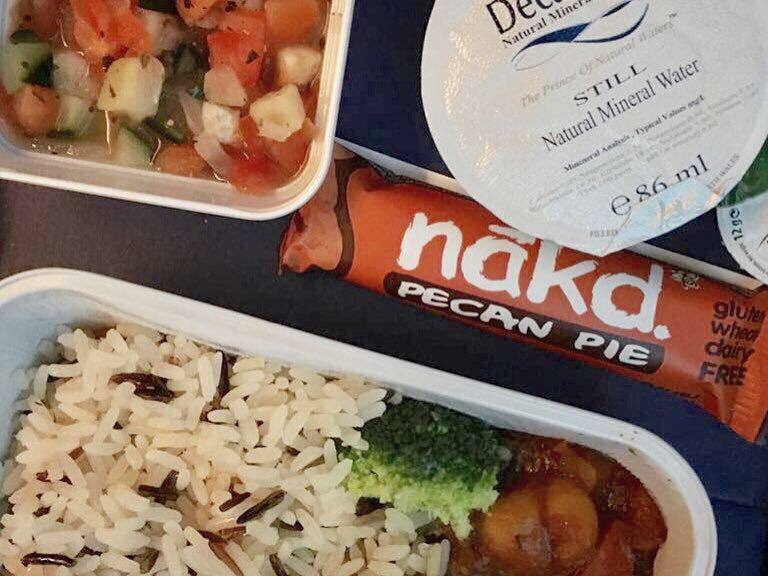 The quality of vegan meals served on airplanes varies wildly depending on the carrier and the city from which you are flying. This week saw me traveling from London to Mexico City with British Airways and I was happy with the food service. Not amazed, but satisfied. Check out the meals below. The first meal was a green coconut curry featuring tofu. 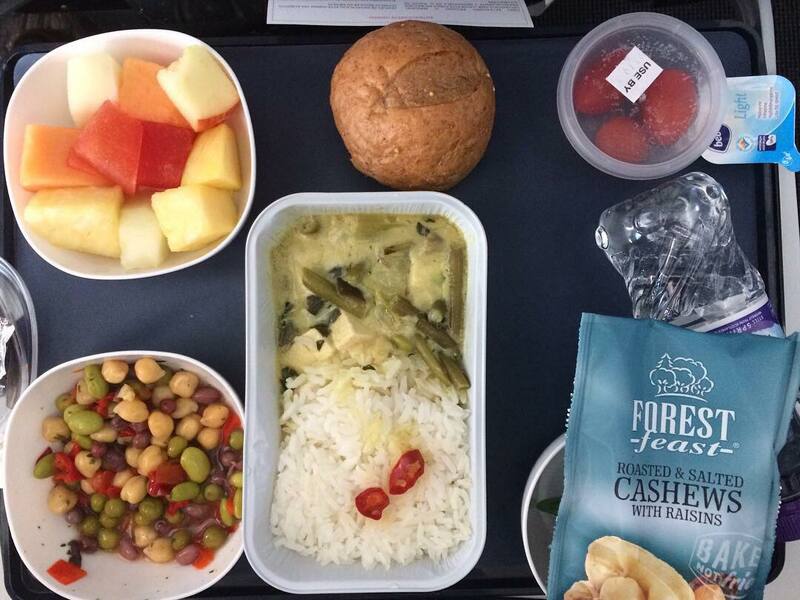 The flavours were really quite pleasing and I would happily eat that meal again either on or off a plane. There was also the usual too hard to eat fruit, some tomatoes in their own plastic pot, a packet of cashes, and a bean/chickpea salad. The bread roll was accompanied by a vegan spread. Next up was a chestnut ragout served with mixed rice. This dish was tasty but not as impressive as the green curry. The pleasant surprise on this tray was the Pecan Pie Nakd bar. It is the inclusion of something like this that makes me believe the catering firm are paying attention to veganism. Overall, it was a satisfactory in-flight eating experience and it is reassuring to see airline catering getting more vegan friendly. Now all we need is for the vegan meal to be the default choice for everyone! My vegan dessert on the BA flight to Tokyo this May. Three grapes. Everyone else had chocolate muffins!